Deal: $ 8.95 GST Inc.
Store lots of photos and Full HD videos—and transfer them quickly to your computer—using SanDisk Ultra SDXC and SDHC UHS-I Memory Cards. 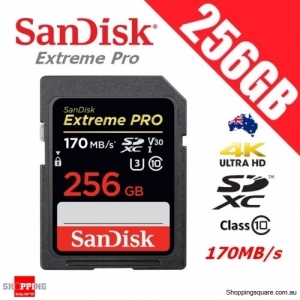 Great for compact-to-midrange point-and-shoot digital cameras and camcorders, these memory cards offer read speeds of up to 80 MB/s1 and are twice as fast as ordinary SDHC cards, allowing you to take pictures and transfer files quickly. SanDisk Ultra SDXC and SDHC UHS-I Memory Cards come with up to 128 GB of storage and are resistant to water, extreme temperatures, x-rays, and shocks. A label allows you to note what's on the card for easy identification. SanDisk Ultra SDXC and SDHC UHS-I Memory Cards have Class 10 speed ratings for recording Full HD (1080p) videos. Enjoy smooth video recording performance whether you're recording a family get-together, sporting event, or school play. 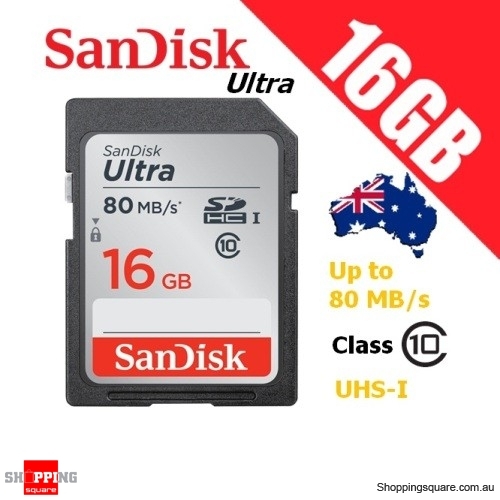 SanDisk Ultra SDXC and SDHC UHS-I Memory Cards come with a data storage capacity of up to 128 GB, allowing you to take lots of photos and videos before having to change the card or transfer the files to your computer. SanDisk Ultra SDXC and SDHC UHS-I Memory Cards are shockproof, temperature-proof, waterproof, X-ray-proof, so you can enjoy your adventures without worrying about the durability of your memory card. SanDisk Ultra SDXC and SDHC UHS-I Memory Cards are compatible with SDHC/SDXC enabled and SDHC-I/SDXC-I UHS-I enabled devices. ***The exact colour of the item may be slightly different from the pictures because of factors, such as brightness settings from your computer. ****Please allow 3-5% differences in manual measurements.